Nonprofits can connect with new donors and grow their donations by using emerging tech. There’s no denying it: We are in the age of digital disruption. Tech companies have set a high bar for innovation that’s extremely difficult to meet. As pressure to stay relevant increases across industries, nonprofits especially need to re-evaluate their use of technology and their user experience to not only attract but also grow engagement with donors. The problem? Many nonprofits don’t have access to the resources, time, funding and staff necessary to focus on digital strategy. With the mindset that every company needs to be a technology company, there are cost-effective strategies for nonprofits to reinvent themselves in the digital age without breaking the bank. Fifty-six percent of people who support nonprofits say they were motivated to take action by compelling storytelling. However, the motivation to donate is often lost due to an inability to understand how and where their donation is going. To create a new and transparent experience that donors will easily grasp, a powerful story and consistent messaging needs to be told throughout the user experience. Leveraging user interface strategies and visual elements, organizations can rework how to share their message to tell a personalized story. The most successful nonprofits are not waiting for donors to come to them but are instead inserting themselves into their donors’ lives. The majority of user interfaces are text-based, which means changing copy on pages can lead to dramatic ease-of-use improvements. To do this, nonprofits should first observe how their content is interpreted through low-cost services, such as usability testing. This will help improve language on sites to provide clarity and can be highly effective. Then organizations should bring deep storytelling to life through a comprehensive website and interactive features that establish an emotional connection and credibility with visitors. Once an emotional connection is established through a story, visitors are able to clearly see the difference one can make. Filling a web page with thought-provoking content, messaging and key visuals through detailed editorial content and functional elements allow nonprofits to personalize the digital experience and help visitors develop a deeper affinity with the organization. The most successful nonprofits are not waiting for donors to come to them but are instead inserting themselves into their donors’ lives. One of the best ways to reach donors on a daily basis is through a mobile app. By developing a mobile app experience, nonprofits can take advantage of its prevalence and connect with donors more frequently. To create a successful mobile app, nonprofits need to seamlessly integrate into their donor’s daily routine, engaging with them in a deeper way and helping them feel more connected to the cause. For example, a nonprofit can integrate their app with social networks so that every time a user logs in, they’ll be reminded to support the cause they care most about. Additionally, apps can use a location-based notification so when a donor is near their home or place of work, they’ll receive a reminder to check the app. Nonprofits that are able to do this successfully can create a more engaged community. A quality mobile app can serve as a cost-effective way to engage with donors, allowing them to conveniently give, receive automatic updates and further immerse themselves with a cause they’re passionate about. 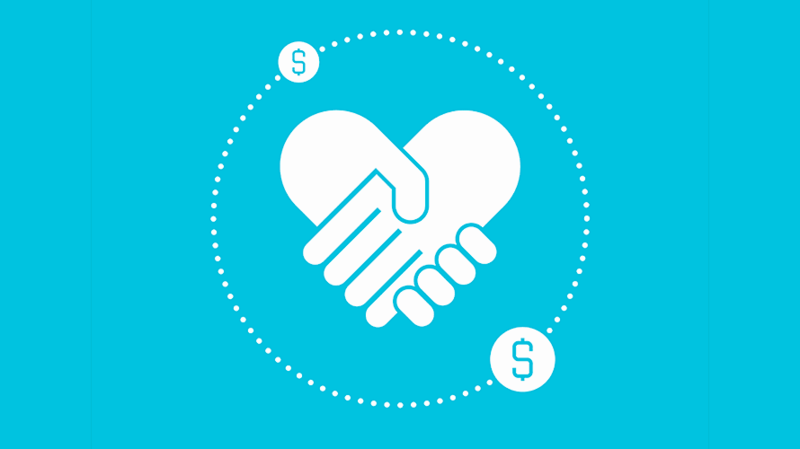 The biggest challenge nonprofits face is creating a lasting relationship with donors. An individual often takes the initiative to visit a nonprofit’s website because they are already interested in supporting. While this is beneficial, organizations must get those visitors to stay engaged, which starts with the digital presence. While each organization is different, a quality website is the launchpad for long-term donor relationships. Organizations must also understand their customer’s digital journey to ensure they have the best experience. If a website is hard to navigate or offers content that is difficult to understand, they’ll turn away. To address the needs of every individual, an organization should ensure that visitors can find information in a simple way. Redesigning a website with the user in mind allows nonprofits to enhance the experience and possibly bring in more funds. Taking advantage of emerging technology allows nonprofits to personalize their browsing experience. For example, some nonprofits have turned to zero-click solutions by using voice assistants that does the searching for donors. By asking Alexa their question, the virtual assistant can find a donor’s question in seconds, creating the simplified experience that consumers will crave. Nonprofits that use cost-effective technology give themselves an advantage. Implementing a website with a compelling UI or developing a mobile app are small changes that can allow them to engage a larger audience, establishing long and meaningful relationships with supporters. 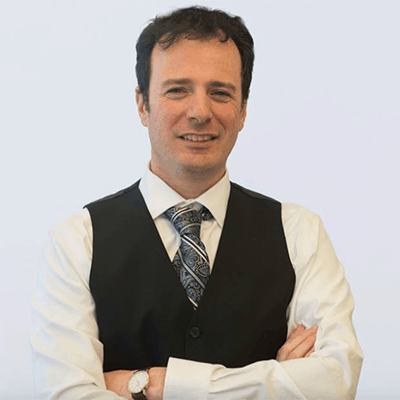 Greg Raiz is the chief innovation officer at Rightpoint.